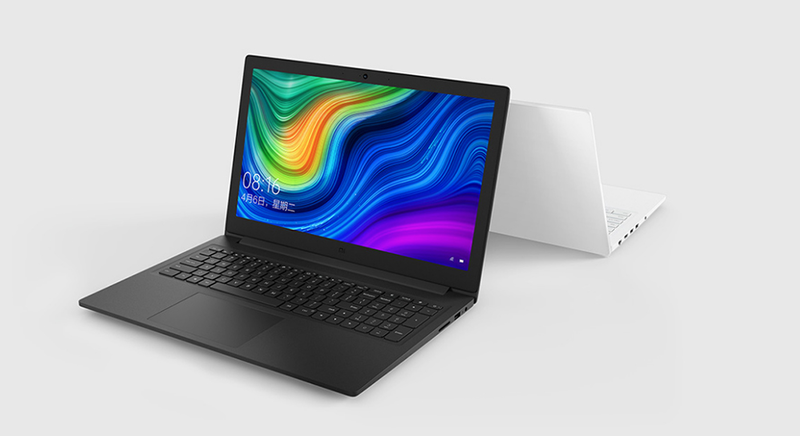 xiaomi has refreshed its laptop line, both the 13.3 inches and 15.6. The notebooks were equipped with the eighth generation Intel i3 processor. A few months ago, the Chinese giant presented monster gaming provider enormous computing power. Now, two budget laptops are available for sale, ideally suited for office work. To work with the browser and e-mail client you will not miss them. The biggest change in both models are the new eighth generation Intel i3 processors. Greater model 15.6 inch offers 1920 x 1080 screen resolution. Xiaomi is a USB 3.0, HDMI, 3.5mm socket and an SD card reader at the user's disposal. The whole was closed in a housing with a thickness of 19.9 mm. The factory notebook has 4 GB RAM DDR4. If you need more then you can expand, the device has two slots on memory chips. 128 GB SSD offers the right amount of space for all the programs you need in the office. 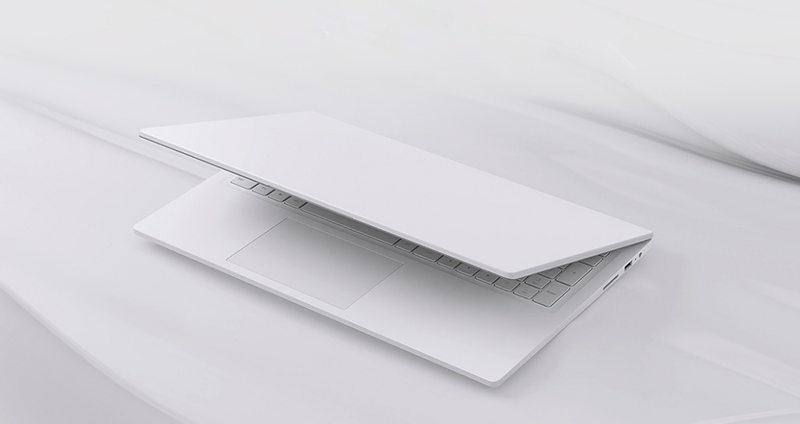 For the first time, the 15.6 inch model also received a white color variant, I must admit that it looks very nice. The 13.3 screen diagonal model also got the eighth generation Intel i3 processor. Interestingly, in the bigger brother Xiaomi placed 8 GB RAM in the factory, not 4GB as in the 15.6 inch. The disk has the same SSD 128 GB. Sales of new versions of laptops will start on November 11 in China. 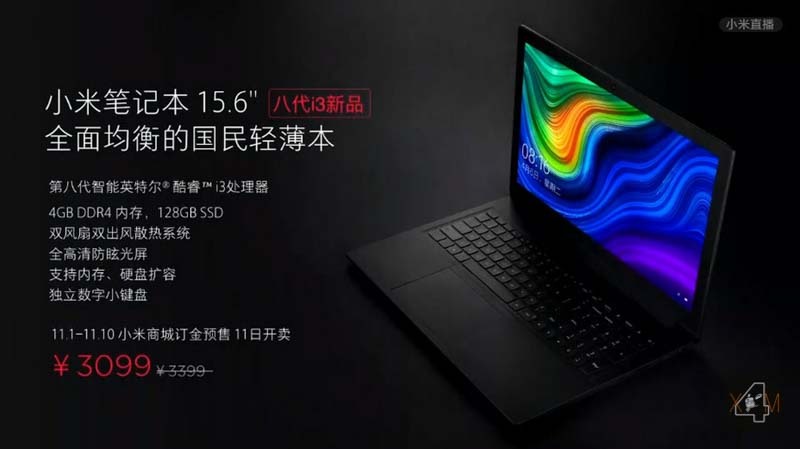 Model 15,6 was priced at 3099yuan, $446. The smaller 13.3 brother in you will cost 3799yuan $547.